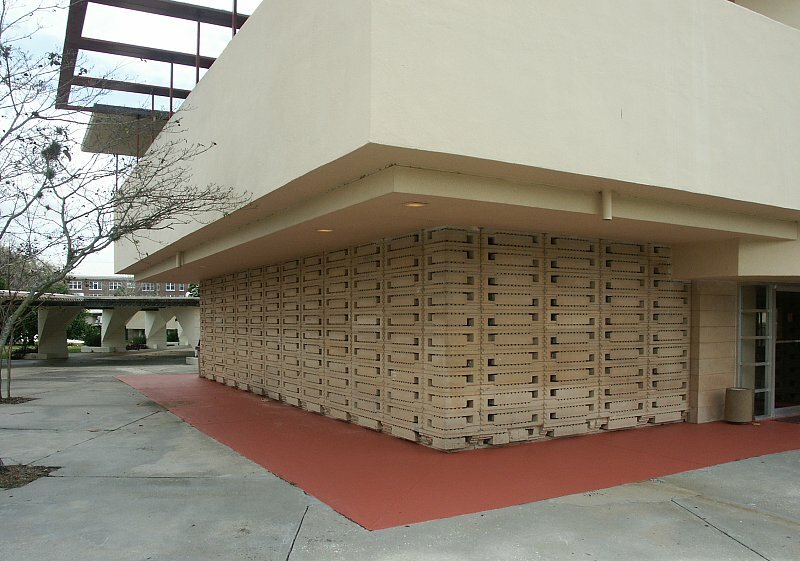 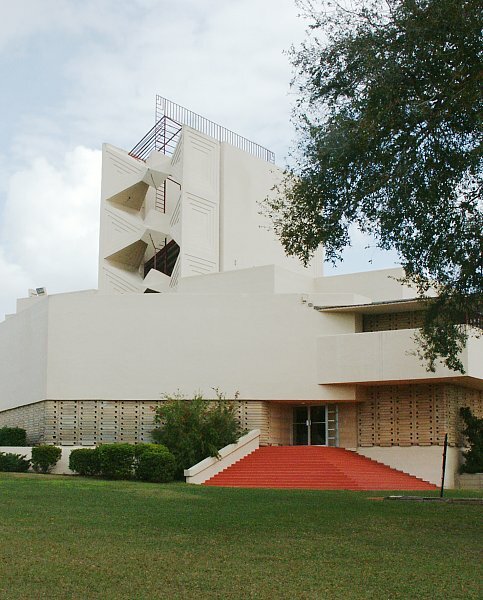 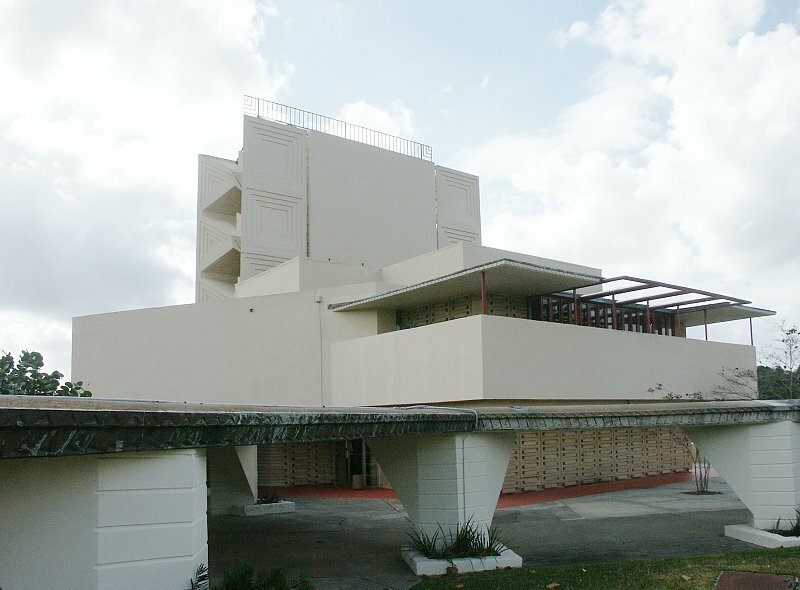 This campus in Lakeland Florida is the site of the single largest collection of Wright buildings. 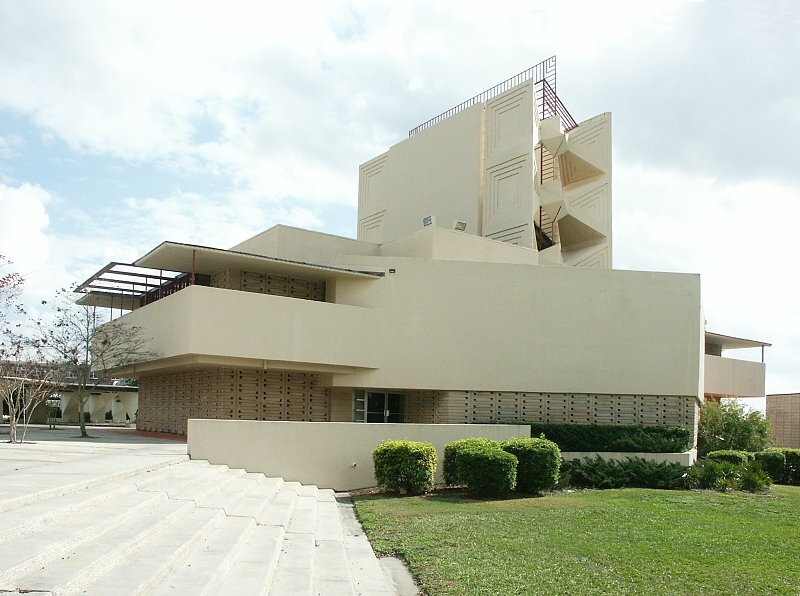 He was also responsible for the campus plan, begun shortly after his visit in 1938. 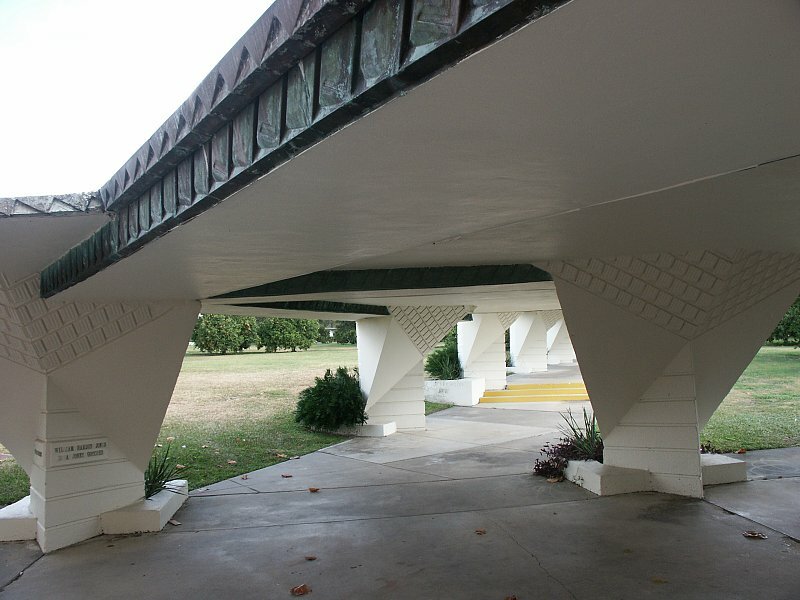 He envisioned a greater number of buildings than were actually constructed as well as a water dome and the whole connected by a network of esplanades or covered walkways. 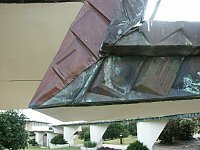 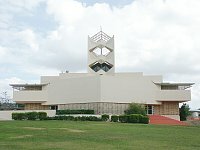 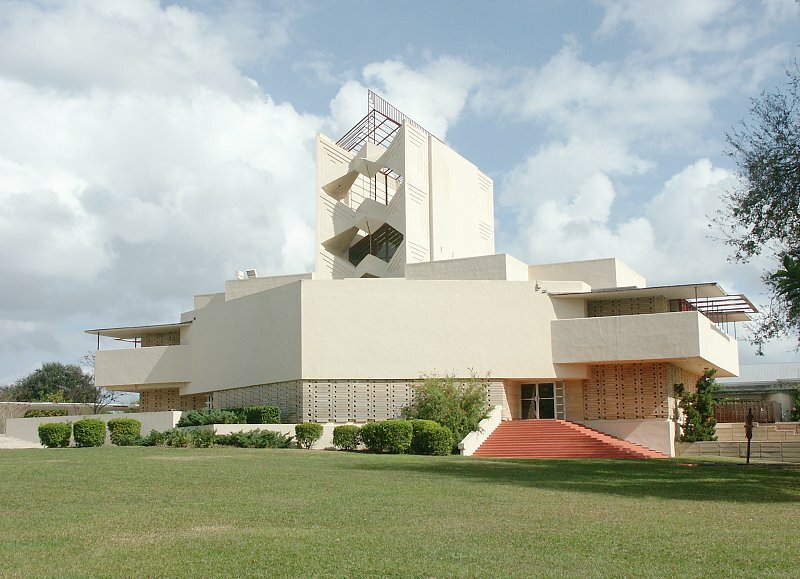 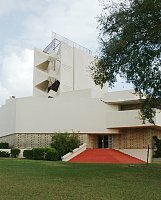 The Annie Pfeiffer Chapel, constructed with student labor, was the first building on the campus. 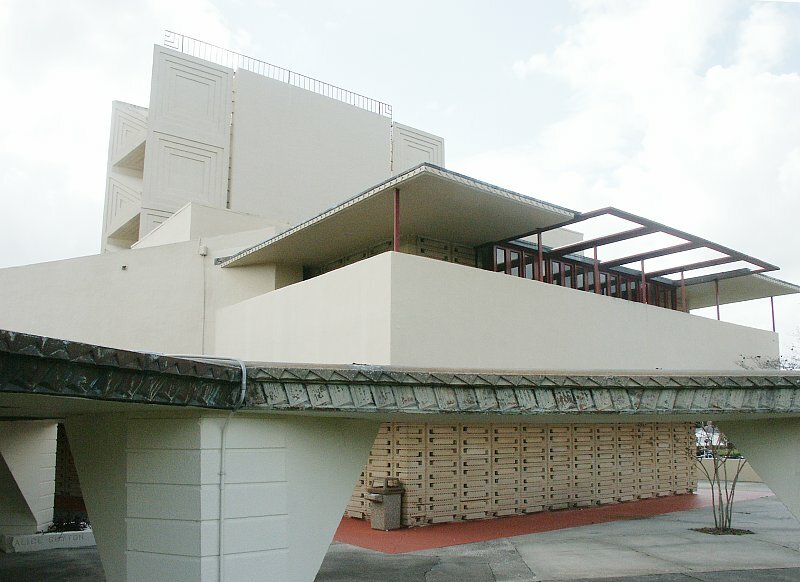 Sited on a gentle slope, the structure is closed off from the outside, although the concrete blocks are perforated and filled with colored glass, admitting filtered and tinted light from the exterior. In addition, light filters in from the lantern.